New Delhi [India] Aug 10(ANI): Along with the first poster of her upcoming film 'Sui Dhaga-Made in India', Bollywood actress Anushka Sharma has revealed that the trailer of the movie will be out on August 13. The 'NH 10' star took to her Instagram to share the poster which features her and lead actor Varun Dhawan. Revealing the same poster, Dhawan also introduced 'Mamta and Mauji', writing, "MAMTA AUR MAUJI ! 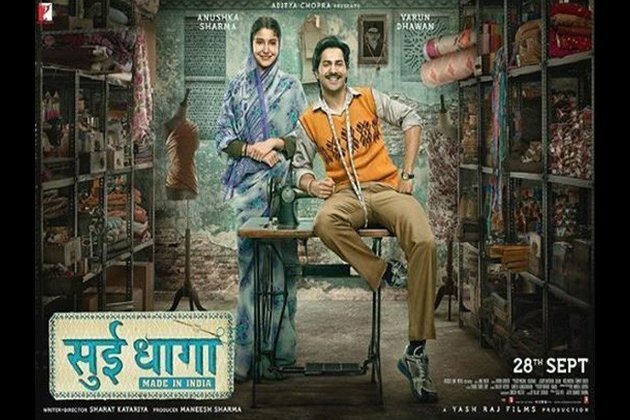 presenting the first poster of Sui Dhaga! SuiDhaagaMadeInIndia TRAILER OUT ON 13TH AUGUST!"